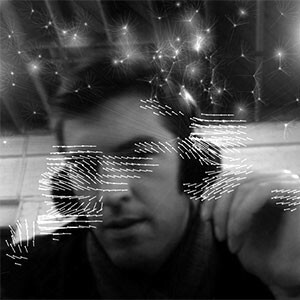 John Carpenter is an interactive digital artist and designer whose work explores the use of gesture with complex data and spaces. Based in Los Angeles, he works for Oblong Industries as an interaction designer and is a visiting professor at the University of Southern California School of Cinematic Arts, MA+P. John earned his MFA from the department of Design Media Arts at UCLA (2009) and has recently exhibited work at Inhorgenta Munich, the LA Arboretum, INSTINT, the Murmuration Festival, Young Projects, ACME. Los Angeles, and the Academy Awards.